"The Conners" premieres at 8 p.m. ET on ABC. Former "Roseanne" stars Sara Gilbert and John Goodman are gearing up for their small screen return without their fictional family's matriarch in their new spinoff, "The Conners." The actors stopped by "Good Morning America" today to reveal where their TV family goes from here. "We have been a cast for 30 years," Gilbert said. "It was emotional moving forward, but then I think what it allowed us to do is almost every person at some point in their life redefines their family without the matriarch, and so it gave us a chance to look at, how does it affect the family? How do different people fill in different roles and lean on each other?" (Robert Trachtenberg/ABC) The cast of the show "The Conners." 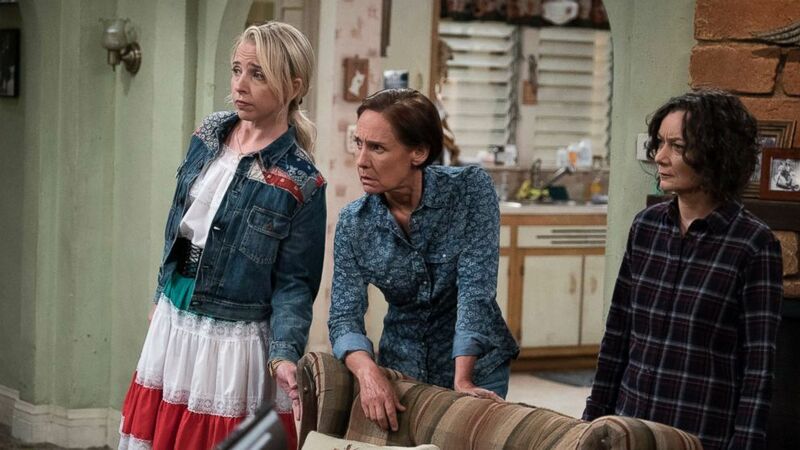 "The Conners" was officially green-lit weeks after star Roseanne Barr posted a racist tweet directed at former Barack Obama senior adviser Valerie Jarrett, which resulted in the immediate cancellation of her hit show "Roseanne" before filming began on the second season. The last “Roseanne” season finale had around 20 million viewers. ABC executives have stayed mum about how the show will address the fate of the title character, but Barr herself has said in interviews the fictional family matriarch dies. Goodman addressed how his character, Dan Conner, has moved on without his wife. "The first week was really weird," Goodman told "GMA." "It was like there was a death in the family. We really missed her a whole lot ... We just tried to do our best to fill in, and we are just thankful for the opportunity to be able to do it again." (Eric McCandless/ABC) Scene from "The Connors." He later added, "It's really difficult and difficult in real life as well." Gilbert, who is also a producer on the show, said it was important for the cast to continue. "We've always been fortunate to be able to represent a working-class family on television, tell stories through love, through humor, heartache and happiness and we didn't want to stop doing that and giving that to our audience," she explained. 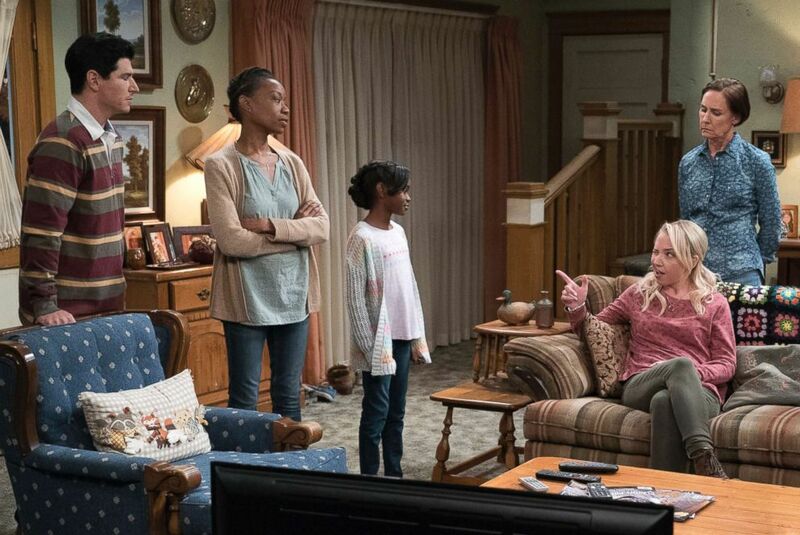 ABC green-lit the spinoff weeks after Roseanne Barr posted a racist tweet. To viewers who are on the fence about watching the spinoff, Goodman joked, "It don't cost a thing." Gilbert chimed in, "Just give it a shot, see what you think. I think you'll find that we're still trying to tell the same, honest stories." 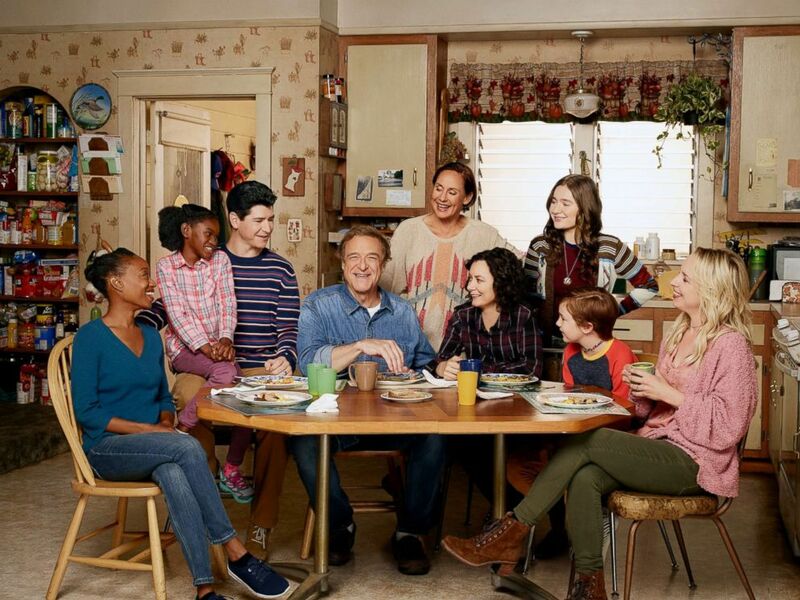 As for how Roseanne's character has been written off the show, Gilbert said fans will have to wait until "The Conners" airs tonight at 8 p.m. ET on ABC. 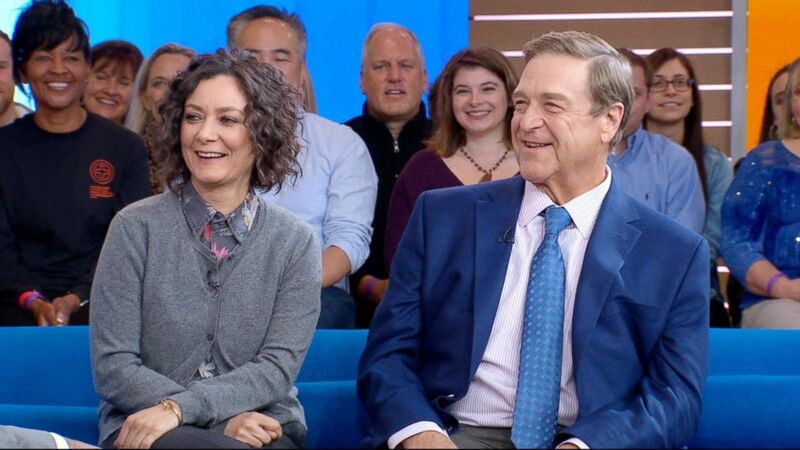 (ABC News) Sara Gilbert and John Goodman appear on "Good Morning America," Oct. 16, 2018. ABC News' Luchina Fisher contributed to this report.